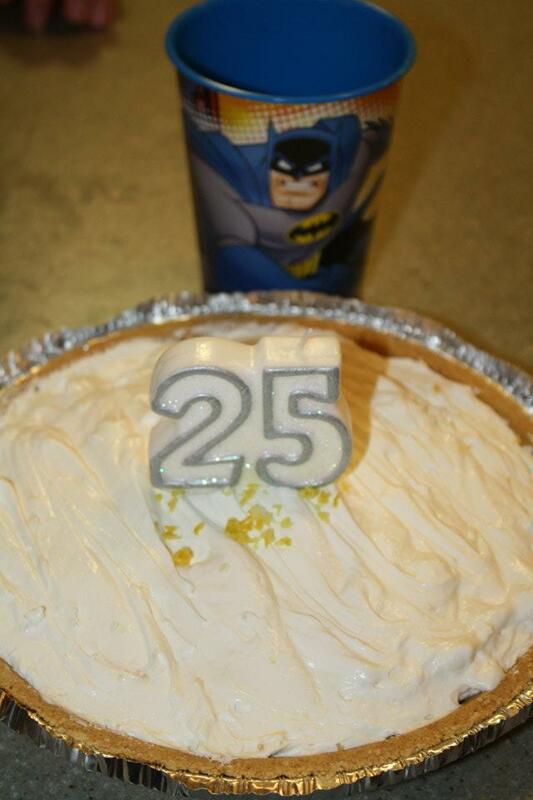 For my son, Zach’s, 21st birthday he requested a cheesecake, a baked cheesecake, the rich and yummy kind. Well there’s no better recipe than a New York style cheesecake. While at Sam’s Club doing my birthday party shopping I picked up a 3lb box of cream cheese. And lo and behold there was a recipe for New York style cheesecake right on the side of the box, so I did not have to go any further for the recipe. Preheat the oven to 325º. Find your silver 9-inch springform pan. Look in the back of your cupboard, this is not one you use all of the time. If you are using a dark, non stick pan reduce your oven temperature to 300º. For the graham cracker crust: Mix crumbs, 3 Tbsp sugar, and melted butter together in a small bowl with a fork. The mixture will be crumbly. Press the crumb mixture into the bottom of the springform pan, and a little bit should press up the sides of the pan. About ½ an inch up the side of the pan. Bake this for 10 minutes. Beat the cream cheese, 1 c. sugar, flour and vanilla with electric mixer on medium speed until well blended. Add sour cream, mix well. Add eggs, 1 at a time, mixing on low-speed after each just until blended. Pour this mixture over the crust. Bake 1 hour 10 minutes or until center is almost set. Cool cake, and then refrigerate in the pan overnight to be sure the cheesecake is completely set. To remove from the pan, run a knife or metal spatula around rim of pan to loosen the cake. Top with fresh fruit or pie filling before serving. 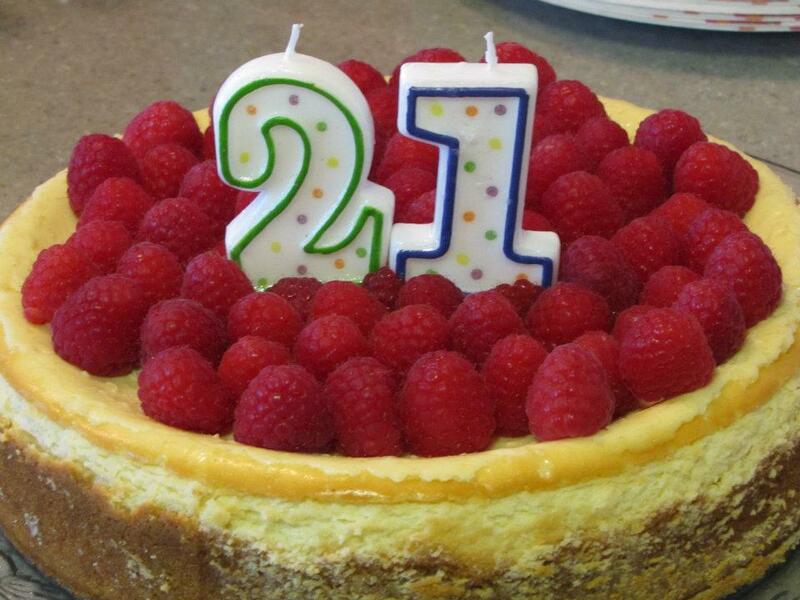 For the topping on this birthday cheesecake, the birthday boy requested fresh raspberries. They are in season right now and were delicious. You could also used a canned pie filling or any other fresh fruit of your choice. This recipe make enough cheesecake to serve 16 slices. It is a very rich cake, and will be all the rave at your next party. If you haven’t made a baked cheesecake in a while this is a great “go-to” recipe for a yummy, delicious dessert. **Photo credit to Elaine Zee for the lovely cheesecake pic. Thanks Elaine!